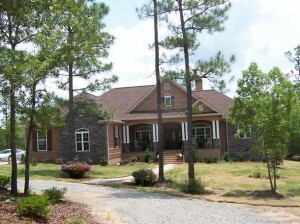 Wolf Construction sets a high standard for home building in Aiken, SC. Building your first home? Ready to retire? Growing your family? We have the team that can make your dream home a reality, regardless of your stage in life. If you desire Aiken home building designs that are anything but unoriginal or “cookie-cutter,” we are the right choice for your project. With our team, professionalism and resources, we will work together closely with you to ensure that your vision for your home becomes a reality. We strive to build long term relationships with our customers. Our Aiken home building projects’ outstanding craftsmanship, our focus on construction’s best practices and the exceptional customer service you will receive are a few of the reasons you’ll love collaborating with our team on your dream home. We have building sites in some of the most desireable areas for Aiken home building, including Cedar Creek, Three Runs Plantation and Mount Vintage. Wherever you choose to build your unique, custom home—we are the right choice. Our great reputation as a well-established local contractor guarantees the best in Aiken home building. To visit our incredible showroom, call us at 803-649-1711 or contact us via email.